Addiction is a disease. Overdose is preventable. Recovery is possible. "The opioid crisis continues at an alarming level. Approximately every other day, someone in Monroe County dies from an opioid overdose. This person is someone's son, daughter, mother, father, brother or sister. Numerous others overdose, but survive. Drug addiction is a physical illness, often beginning with the legitimate use of pain medicine. While Monroe County is aggressively tackling this issue on many fronts, addiction is a complex medical problem without an easy or quick solution. We will continue to work with our community partners to explore any and all options to help those struggling with addiction, and to prevent others from becoming addicted." The Opioid Action Plan recognizes the important role county government can play in supporting prevention, treatment, recovery and law enforcement. Click a section below to read more. 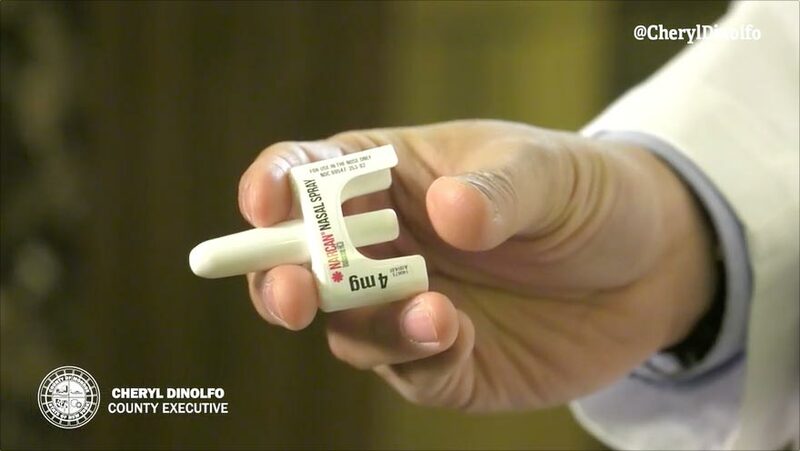 The Monroe County Department of Public Health provides free Opioid Overdose Prevention Training to the public, typically on the 4th Wednesday of the month (AM and PM sessions). Monroe County DES pharmaceutical waste collections provide a safe and proper way to dispose of unused or unwanted medications. This service is FREE to residents. The ecopark and local police stations accept pharmaceutical waste at the regularly scheduled times and locations listed on the ecopark website. Monroe County also holds collections three times per year at selected Wegmans pharmacies. Taken from NYS Department of Health Quarterly Opioid County Report. Preliminary data is subject to change. 1. Pharmaceuticals &amp; and other illicitly produced opioids such as fentanyl. 2. Aggregate figures exceed total due to multiple substances detected. 3. Hospitalizations and emergency department visits are based on ICD-10-CM codes. NA: Data are not yet available.